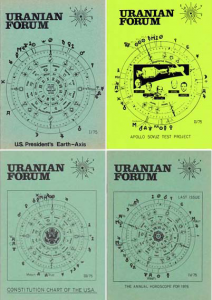 10 years later the URANIAN FORUM was reborn as a periodical in the USA. Published 1985-1992 by Penelope Publiscations, Florida, supported by Udo Rudolph and other Astrologers from Hamburg/Germany. Carl Perch: The sensitive points and how to apply them. Carl Perch: Which connection have birth and death? Carl Perch: Man, a Receiving Station of Universal Energies also with Reference to Birth and Death. 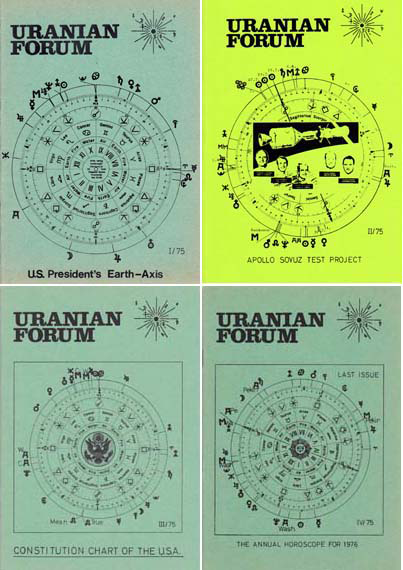 Herm.Sporner: Annual Horoscope for 1976. Herb. Pauels: Important Principles of the Hamburg School.